Is chronic pain, migraines or sciatica something you live with or combat on a daily basis? Maybe you’ve sought out medication or physical therapy to help find relief from these pains but it still persists. Trigger point massage is a great complement to heal your body and bring comfort. What is Trigger Point Therapy Massage? Trigger point therapy taps into the body’s internal web of muscles and tissues to unlock common chronic and injury-related pains caused by tension and stress. When tissues remain in a contracted state for long periods of time they can harden and create little nodules that massage therapists can pulsate and feel during a trigger point massage. The massage unlocks the source of the knots that lead to the chronic pain you experience. Is Trigger Point Massage Right for Me? You don’t have to be experiencing high levels of pain to benefit from trigger point massage. For many people, normal daily activities over time, can cause strain and promote the build-up of stress and tension in your muscles. If you have a job where you use the same muscles over an extended period of time, things like driving a car long distances, typing on the computer for hours a day, or overdoing it in your daily work out, you could be at risk to overextending your muscles and creating tension. The purpose of trigger point massage is not to cause pain, but rather to help reduce pain and heal injuries before the pain gets unmanageable. If injury or pain is something you already are dealing with, myofascial trigger point massage would be beneficial to your healing. Common muscular conditions and injuries including sciatica pain, plantar fasciitis, shin splints, migraines, chronic pain can all be helped through trigger point massage. It is important to find a well-trained and informed massage therapist to help you customize your trigger point massage therapy plan. You can find a therapist that is right for you at one of our Elements Massage Studios®. 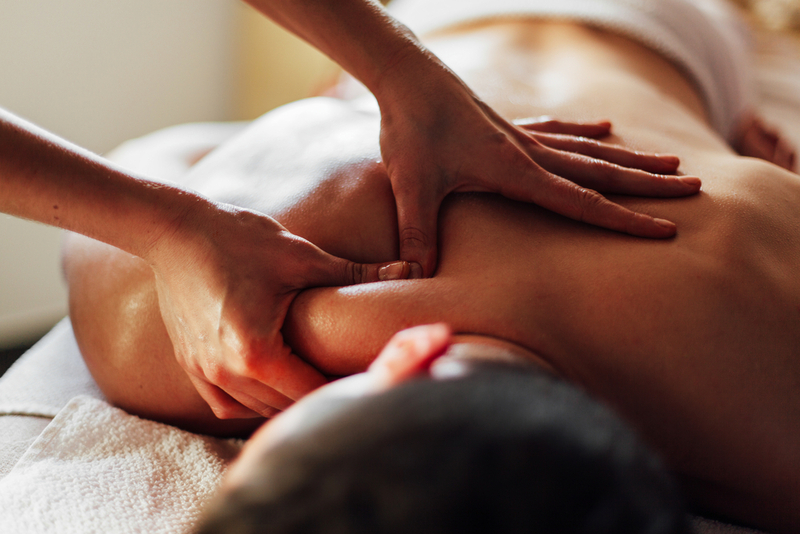 You can find out more about trigger point massage and if it is right for you, here. Don’t live your life in pain - find healing through the power of massage.